"CLM Healing Festival" Coming to Killeen, Texas, Starting June 2019! The Best Metaphysical Fair in Texas! The Biggest Metaphysical Fair held in Killeen, Texas! 30 Vendors! TMF FREE Speaker's List, Click Here! Dates Released for 2019 fair in Killeen, Texas! Click Here! TMF Vendor Program, Click Here! 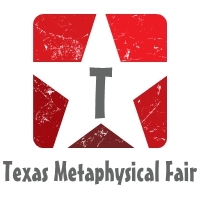 About Texas Metaphysical Fairs, Click Here! For Non-Profit Organization, Click Here! I want to Thank the City of Killeen for your Support!